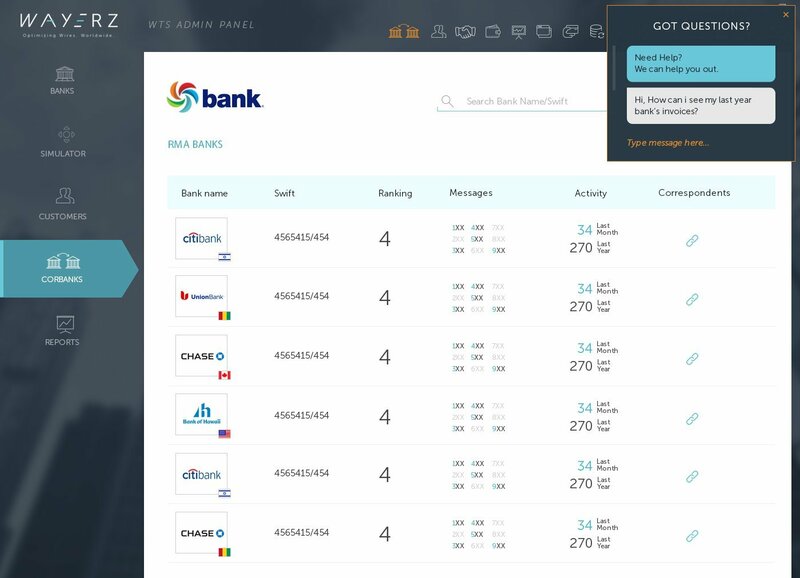 Bank transfer optimization firm, Wayerz, has announced today that they have partnered with Cisco to add real time chat, video conferencing and remote access services for their platform. Providing services for banks and merchants to review the status of their bank transfers as well as to customize the best intermediaries for the wire to travel, Wayerz is adding the services from Cisco to enhance the communication abilities of platform users. An example of an expected user are banks contacting each other about the current status of a transfer. For banks, the platform provides storing of communications which is important for satisfying compliance requirements. According to Wayerz, the firm is the first to integrate Cisco’s solution for bank to bank communications, with the messaging product operating within Cisco’s secure cloud. Correspondent banking groups all relationships and financial services that are offered, provided and executed by banks – to other banks. That includes cash management, securities and custodian, trade finance and forex. Top 25 correspondent banks reports reveal that their total revenue from their correspondent banking activities are $10bn annually.